Follow this science-based plan, and the gains are guaranteed. How can we be so sure? Because the doctor's in the house, and he has your Rx for an amazing physique transformation! Stop training like an idiot! "Dumbbell" should describe your weights, not you. Let the smartest man in bodybuilding take you from beginner to advanced in just 12 weeks! But let's be fair... Maybe you've never lifted anything heavier than your coffee mug. Maybe you once lifted regularly, but of late, your trips to the gym have become as infrequent as a day of sobriety for Charlie Sheen. In either case, we have good news, in the form of the perfect 12-week plan for going from beginner to advanced. Personal trainers are gonna hate us for this one; it might even put a few of them out of business. You, on the other hand, are going to love us. But enough about us; this is about you, only bigger, stronger, better. No, three months from now, Jay Cutler and Dexter Jackson won't quake in their flip-flops when you shed your sweats. But your physique will be vastly improved and ready to handle even more advanced training techniques. "This is about you, only bigger, stronger, better." 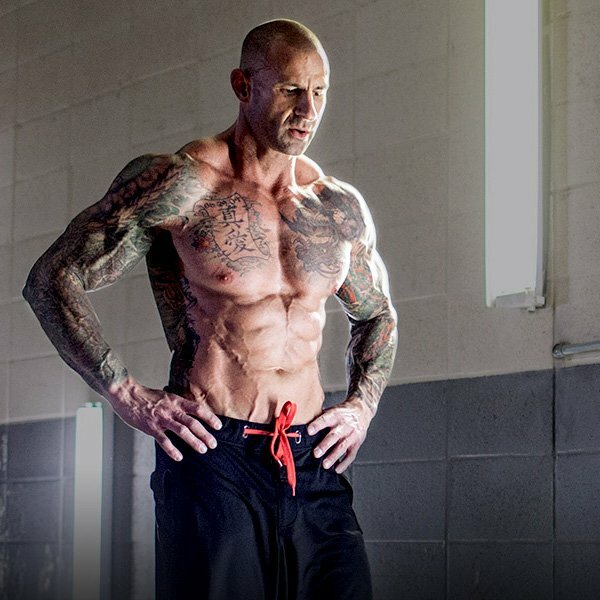 Join Bodybuilding.com All Access to unlock over 50 premium fitness plans from the world’s best trainers, athletes, and experts for only $8.99 a month. Sign up today! How can anyone run the rack that fast? This beginner-to-advanced program is all about progression -- of the exercises you perform, in the number of sets you complete per workout, in the amount of weight you hoist, and most important, in your training split. A training split refers to the way in which muscle groups are divided for training purposes. For example, some pro bodybuilders train only one major muscle group each workout. That's it. So on Monday, they might train chest; on Tuesday, back; on Wednesday, legs; on Thursday, shoulders; and on Friday, arms; with abs thrown in on one or two of those days for good measure. This would be considered a five-day training split. Splits come in all sorts of variations, but specific splits are better at certain points in your training evolution. The pro bodybuilder's example above isn't right for a beginner; it's not the best way to gain size and strength at that point. The key is adjusting your training split as you advance. We've done some of the heavy lifting, by telling you what to do and when to do it. The rest is up to you. Say "hello" to whole-body training, and teach your muscles how to contract properly with classic lifts designed to generate strength and jump-start growth. Arms and legs one day, torso the next--time to take your core and extremities to the extreme. Push movements, pull movements, leg movements...you're already sweating, aren't you. Multiple muscle groups worked daily over a 4-day split. The result: complete body construction.